Creepy Freddy Krueger Toilet Tank Cover Will Give You Nightmares | OhGizmo! 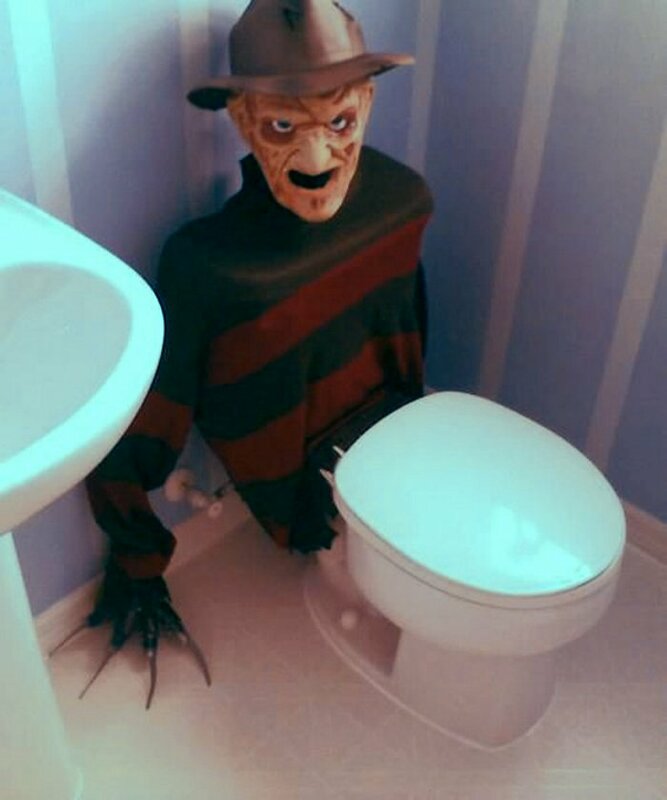 As if going to the bathroom at night isn’t scary enough (especially for those who are still afraid of the dark), a bunch of horror-loving folks have come up with this absolutely horrifying Freddy Krueger toilet tank cover. It’s made to cover the toilet tank in its entirety, complete with a sinister Freddy Kruger mask and gloves that look dangerously sharp. Obviously, this would be great to scare the little girls (both figuratively and literally) in your house, but it’s probably not a very good prank to pull if you want to live a long and fruitful life. Where can i get this???? I want it for my Halloween decor it is fu**ing awesome!